The SL63 is a model that previously never got the recognition it deserved in Mercedes' SL Roadster line-up. The mainstream models always sold more, while the bigger-engined SL65 variant got the headlines. Don't let that deter you. 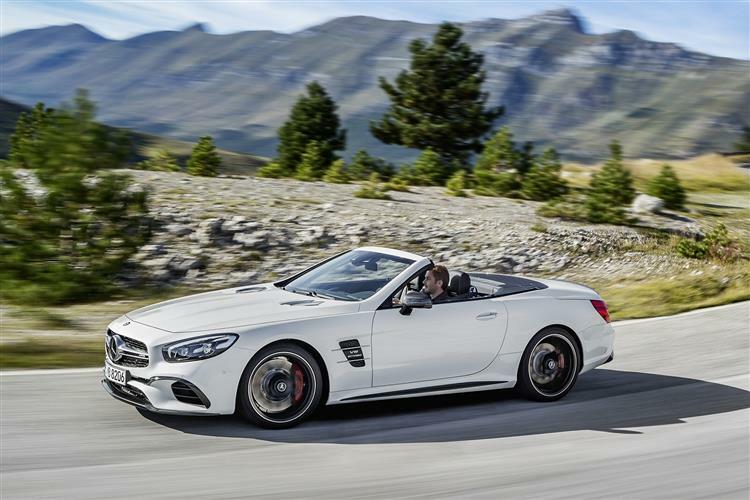 This latest 585bhp car is arguably the best SL that Mercedes have ever made. Some cars gain themselves a reputation that's out of all kilter with their talents. Overrated, overpromoted and overachieving, they pull a confidence trick, trading short term revenue gains for long term reputational damage. It's a bargain many manufacturers are prepared to take. Then there are the cars that work the opposite way. They offer a bigger reward to the owner than their billing suggests. 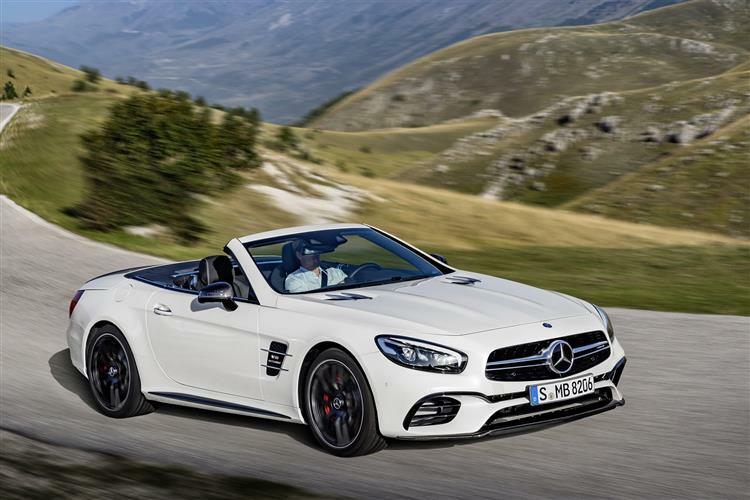 The AMG-engineered SL63 version of Mercedes' SL Roadster has long been such a car. 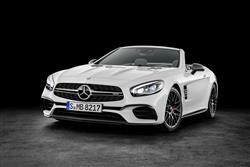 The headliner in the Mercedes-AMG SL range is the V12-engined SL65, but this V8-powered SL63 makes a lot more sense. In this upgraded form, it features a 5.5-litre 585bhp unit that's virtually as quick as the V12 model and much more efficient. It's a wiser pick. This generation SL model replaced the screaming 6.2-litre V8 of its 'R230' series predecessor with a twin-turbocharged 5.5-litre eight cylinder unit that now puts out 585bhp. Where the old engine needed to be revved like crazy to give of its best, the blowers on the 5.5-litre unit serve up instant urge at almost any engine speed. The soundtrack is different, but Mercedes' engineers have amped up the drama from both intake and exhausts to deliver some aural fireworks. How fast? Get it on a really grippy surface in perfect conditions and you may jmanage 4.1 seconds to 62mph. 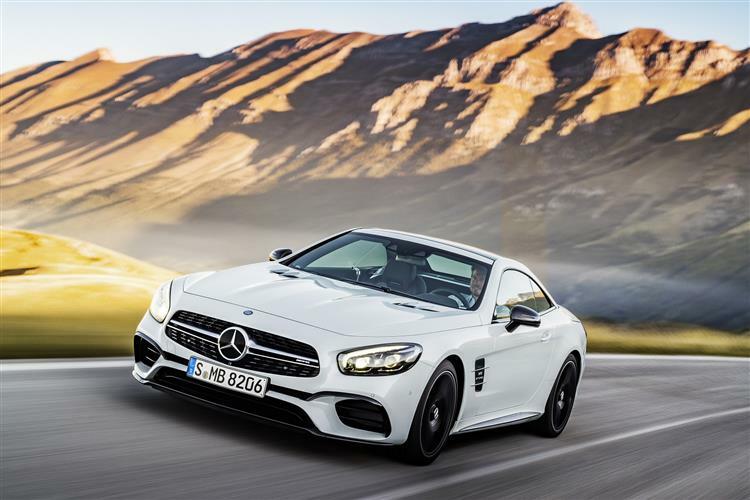 This car is far lighter than previous generation SL models thanks to extensive use of aluminium in the chassis and the addition of a carbon fibre bootlid. Mercedes quotes a figure of 125kg, but that still means this is an 1845kg car that needs to be managed around a corner. The 'Speedshift' MCT 7-speed transmission is a very smart unit, better suited to a car of this type than the old 7G-Tronic system and while it's quick to ping up through the box, it can occasionally refuse a downshift. 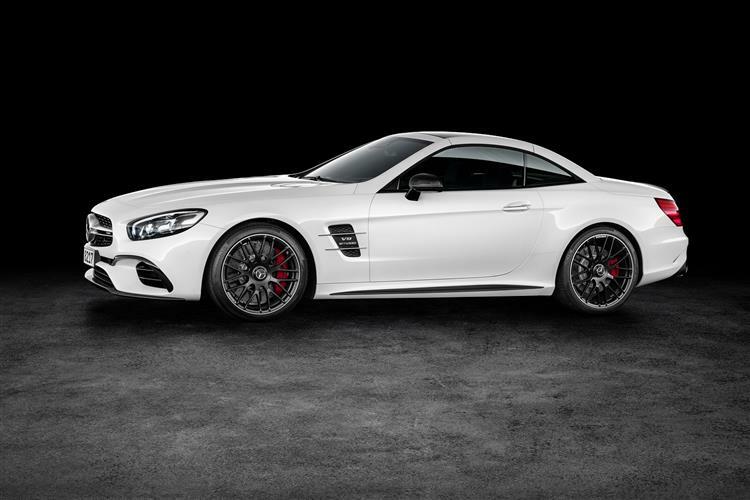 Like the rest of the range, the SL63 gets electro-mechanical power steering. Some manufacturers have got such systems almost up to the feel of a good old hydraulic system. Mercedes hasn't as yet, but it's getting there. Plus there's an AMG Sports Exhaust system and the 'AMG Dynamic Select' driving modes set-up, which allows you to tailor the feel of the car to suit the way you want to drive. Changes to this improved MK6 model include a re-sculpted radiator grille that harmonises with the AMG bodystyling. Two powerdomes on the bonnet invoke the sporting heritage of the SL, while light-catching contours give additional structure to the bonnet. Also adding to the revised appearance of this SL is the standard-fit LED Intelligent Light System with its headlamp housing extending far to the outside and an integrated torch-shaped unit comprising the daytime running lamp/position lamp and direction indicator. The side view of this SL reveals enlarged cosmetic air outlets with wing-like chrome inserts in dynamic, broad vehicle wings with 'V8 BITURBO' lettering. 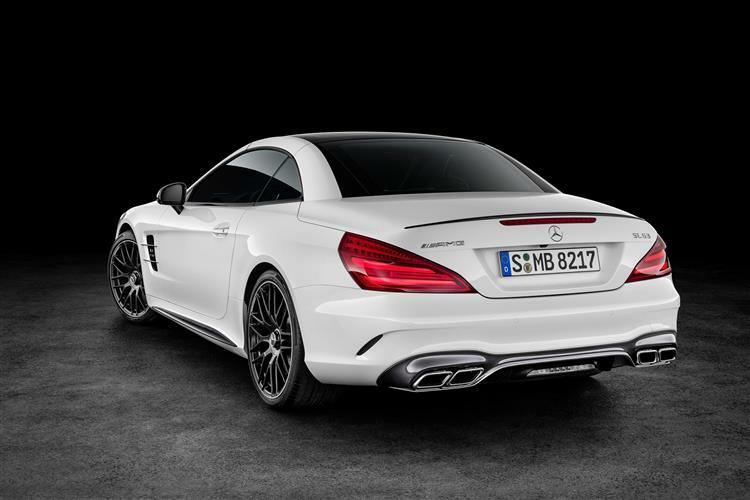 Moving to the rear you'll spy an AMG spoiler lip, four chromed tailpipes for the sports exhaust system and a diffuser-style rear apron with a body-coloured insert. The interior has come in for some budget too. Standard fitments includes sports seats in single-tone or two-tone nappa leather with a unique V8 seat upholstery layout and AMG badges in the seat backrests, a multicontour function and seat heating as well as carbon-fibre trim, illuminated door sill panels, ambient lighting and an IWC-design analogue clock. The instrument cluster includes a TFT colour monitor, AMG start-up display and RACETIMER function. The folding Vario roof now operates in only 20 seconds and features three different versions: painted, glass or with the unique panoramic Magic Sky Control. The transparent roof switches to light to darkened glass at the push of a button. The SL 63 sits above 'regular' SL models like the SL400 and the SL500 but it's not the flagship model of the range. The mighty 630bhp SL 65 AMG fills that role using with a 6.0-litre V12, for those that feel that 585bhp is somehow inadequate. Does that compromise the 63's appeal? I'm not sure it does. With less weight in the nose, the V8 is always going to be the driver's choice, although at around £114,000, it would be a brave driver who stretched this car to its limits. Equipment levels are as generous as you'd expect when paying well into six figures. Some technical details are intriguing. 'Magic Vision Control', billed as an intelligent and efficient wipe/wash system. The washer fluid jets out of the wiper blade directly in front of the blade lip, in both directions of wipe. As a result, no water is splashed onto the windscreen during spraying to disrupt the driver's visibility, and you'll never fire it onto your passenger when the roof is down. You can even specify a heated wiper blade to prevent snow or ice forming on it in winter. 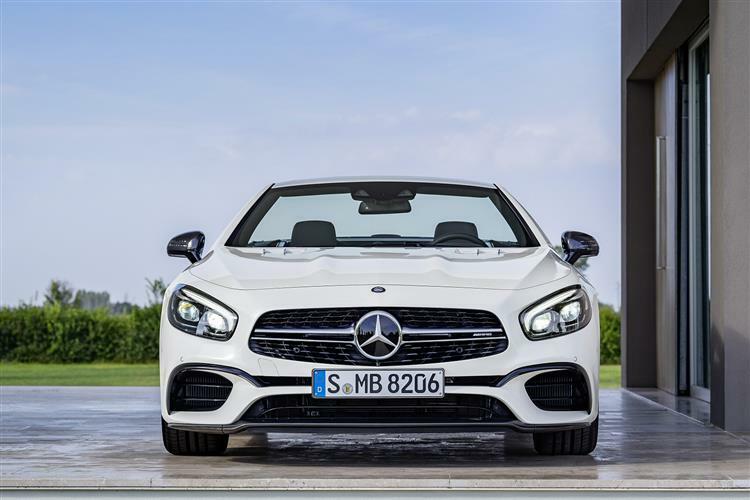 The other feature that speaks volumes of Mercedes' lateral thinking was the Frontbass system which utilises the free spaces in the aluminium structures in front of the footwell as resonance spaces for the bass speakers. It gives a much cleaner sound than a door-mounted speaker and is even waterproof in case your footwell gets flooded during a rain shower. 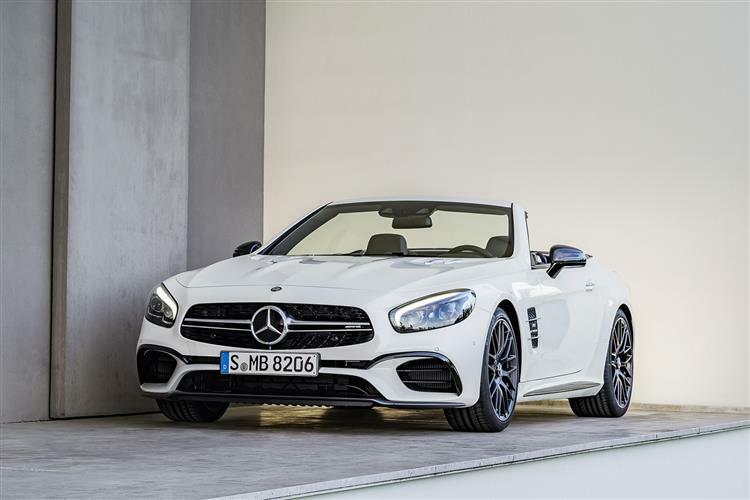 It's de rigueur for manufacturers to announce efficiency savings and the SL 63 AMG adheres to this party line, but it's never going to be the sort of car you'd buy with one eye on economy or emissions. That said, a combined fuel consumption figure of 28.0mpg isn't bad at all, helped by a start/stop function, a Controlled Efficiency gearbox mode, good aerodynamics and that helpful weight reduction. These measures also contribute to a creditable 234g/km emissions showing. Depreciation is always going to be the big ticket item for a high end petrol roadster, but SL owners tend to offset depreciation somewhat by owning their vehicles for longer than average and thus also enjoy the benefits of the less vertiginous section of the car's depreciation curve. A more mature ownership profile also helps with insurance cover. 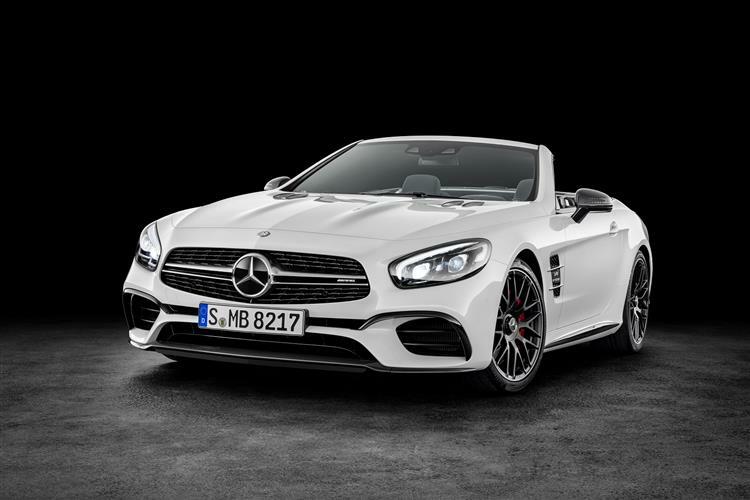 The latest 585bhp SL63 is quick, beautifully engineered, efficient and can perform a dual role like few other big roadsters. Does it run the risk of being overshadowed once again by its twelve cylinder sibling? Possibly. Educated buyers will know that big numbers don't always equal big rewards. Finding the sweet spot in the SL range might require a little homework but the payoff is well worth the effort.